We often pay interest for things we want right now, yet as it turns out, we probably could have waited for whatever it was we HAD to have until we had the cash to pay for it. 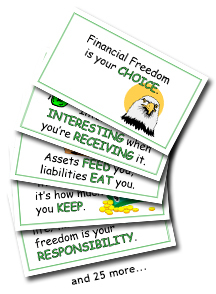 Paying interest is fine if you’re buying assets. It’s not fine when you’re buying liabilities. 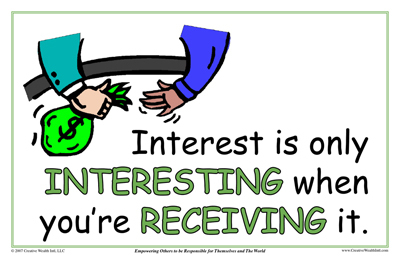 What side of the interest equation are YOU on?